The Nature and Use of a Type, Being the Substance of Two Sermons Preached on Good-Friday and Easter-Sunday, 1724. The Influence of Church-music: A Sermon Preach'd in the Cathedral-church of Worcester, September 8, 1725. A Sermon Preach'd befor the Sons of the Clergy, at Their Anniversary-Meeting in the Cathedral Church of St. Paul, February 13, 1734. A Sermon Preached in the Parish-church of Christ-Church, London on Thursday May the 1st, 1746, Being the Time of the Yearly Meeting of the Children Educated in the Charity-Schools, in and about the Cities of London and Westminster. 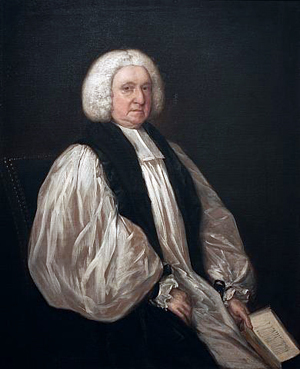 A Sermon Preached before the House of Lords, in the Abbey Church of Westminster, on Friday, May 29, 1747, being the Anniversary of the Restoration of King Charles the Second. London: J. and P. Knapton, 1747. The Moravians Compared and Detected. A Sermon Preached in the Cathedral-church of Exeter on the General Fast-day, February 6, 1756.